Quick summary: In this lesson, students develop a project with the aim of helping their community to connect with farming and agriculture. Students begin by participating in a barometer activity around understanding their connection with farming and agriculture. In groups, they are then assigned an idea for a project that responds to the question: How can we help our community understand our connection to farming and agriculture? Groups need to answer a series of questions about their project idea and develop the details for this project. They then present their ideas to the class, who then vote to decide on a project to implement. Students understand how we are all connected to farming and agriculture. Students understand some of the steps and criteria required for planning and assessing a project. Relevant parts of Year 3 HASS achievement standards: Students share their views on an issue and reflect on their learning to suggest individual action in response to an issue or challenge. Relevant parts of Year 4 HASS achievement standards: Students share their points of view, respecting the views of others, and reflect on their learning to propose action in response to an issue or challenge, and identify the possible effects of their proposed action. Time required: 60 mins (plus time to enact project). Level of teacher scaffolding: Medium – facilitate class discussion, lead students in project development. Resources required: Student Worksheets – one copy per student. A device capable of presenting a video to the class. Enough butcher’s paper and marker pens for small group work. Recipe Card Question Sheet (one copy per student). Poster or Sign Question Sheet (one copy per student). Template Question Sheet (one copy per student). Assessment Criteria (one copy per student or equipment to project for the class to view). Group Roles – optional (one copy per student or equipment to project for the class to view). Keywords: The Show, farming, agriculture, food, fibre, community, connection. … realise they have the ability to inform and educate their community. 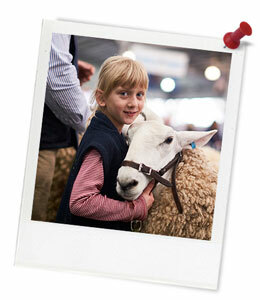 Teacher content information: For over 160 years, The Royal Agricultural Society of Victoria (RASV) has been running the Royal Melbourne Show. 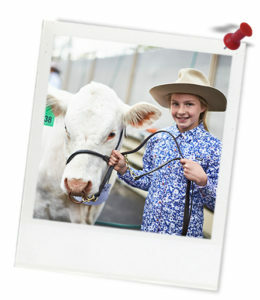 Like other agricultural shows around the country, the Royal Melbourne Show aims to build the community's knowledge and understanding of the vital role agriculture plays in everyday life, by providing opportunities for the community to experience and connect with a range of different aspects of farming and agriculture. Thought starter: Why should we help our community connected to farming and agriculture? 1. How did I work in the group? 3. What was the best part of working on this project and why? 4. Why do you think the project idea that you placed two ticks next to would help our community connect with farming and agriculture?